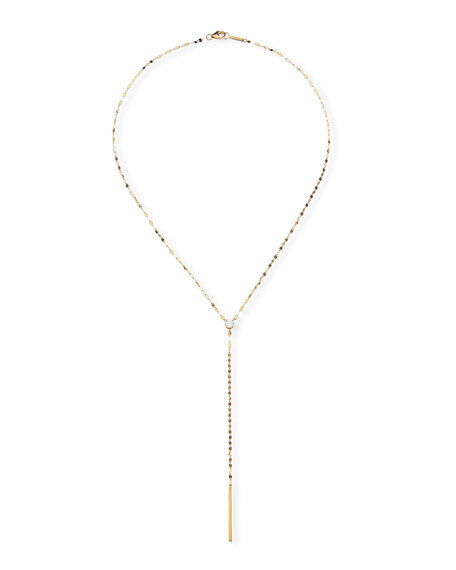 Solo chime lariat necklace from LANA. Polished 14-karat yellow gold hardware. 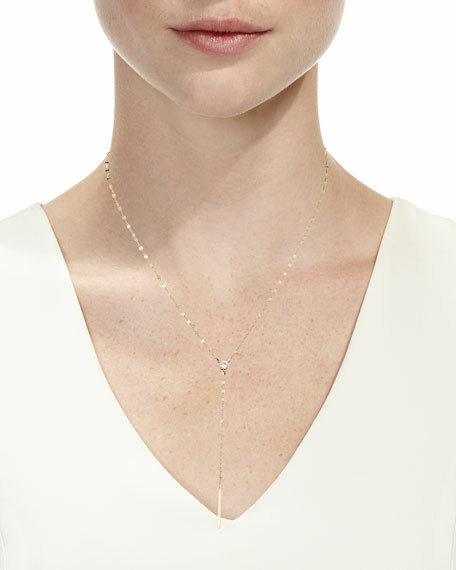 Signature flat link chain and Y-drop. 0.33 total diamond carat weight. Launched in 2002, designer Lana Bramlette's cool, minimalist line of jewelry has resulted in dozens of pieces that have become instant cult classics. The Lana collection has fans around the world who crave the Lana Look, a term that has become synonymous with her delicate, modern styles.